This was the first VW camper adapted from the VW bus (known as the Samba) – which itself was adapted from the VW panel van. 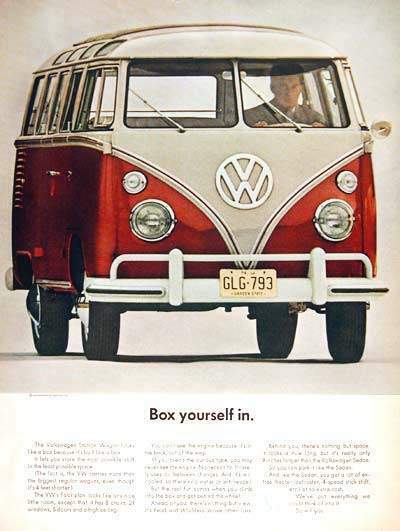 You’ll recognize the rounded VW camper van with the sweeping V molding on the front, the huge VW badge, split windscreen and big round headlights as the classic VW Camper. Production of the first generation, ‘split-screen’ Transporters known as the type 2, (the Beetle was type 1), started in Wolfsburg for the 1950 model year with a tiny 1100cc air-cooled engine developing borrowed from the Volkswagen Beetle. By comparison, today’s Transporter has a choice of four TDI PD diesel engines from 1.9 litres to 2.5 litres.